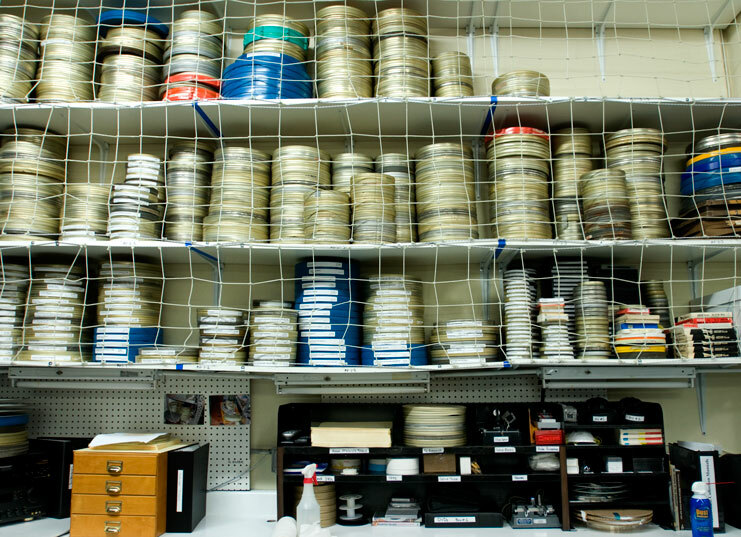 The Wende’s film collection specializes in one-of-a-kind 16mm films, many of which have never been seen outside of East Germany. They focus on domestic life and official educational films. Home made movies document family gatherings, holiday celebrations and leisure time activities. The Museum also holds films produced by the Deutsche Film Aktiengesellschaft (German Film Cooperative), more commonly known by its acronym DEFA, such as the Sandmaenchen Fernserie (Sandman Television Series) and Verkehrs-Kompass Serie (Traffic Awareness Series), that was made to educate school-age viewers on road and traffic safety. This collection was recently augmented by the acquisition of numerous health and hygiene films as well as the complete collection of a former GDR Filmverleihstelle (Film and Slide Library). The approximately 2,000 films in this collection were commissioned by Humbolt University’s Akademie der pedagogischen Wissenschaften (Academy of Pedagogical Sciences). The films address diverse topics from art history, chemistry and biology to worker militias, founding of the GDR and career development for various professions, such as firemen and nurses.